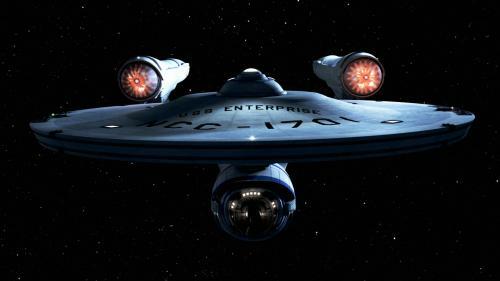 Isn’t that the old Enterprise for the new movie? There have been a few aesthetic alterations. Its the old Enterprise with that new Enterprise smell, you know all rubbery. Yeah, the main deflector dish looks altered. And the warp nacelles look a bit better drawn. God dammit, I am a nerd.